I’ve known about this site for quite a while, but then its name somehow fell out of my head. It’s Peggo.tv and it’s been around for a while. But thanks to recent youtube-mp3.org disappearence plus all that free traffic, here you go, peggo.tv went from top 11k sites to top 6k sites. good job! Why did I know about this site? Cause years ago it was offering users 1080p video downloads from youtube. 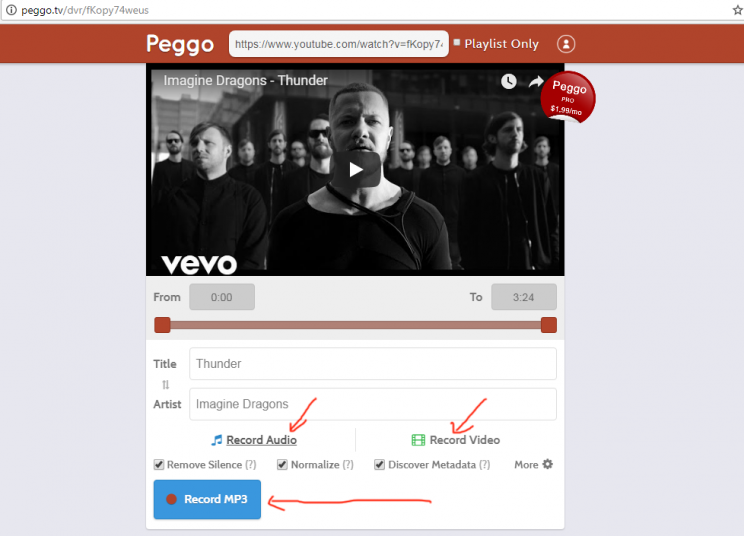 It does so cause download happens directly from peggo.tv website, so you can assume that website has first downloaded their video only and audio only tracks from youtube, and then combined them together and sent them to you. This is the reason most youtube downloaders and converters, like savefrom, keepvid or flv.to do not offer 1080p downloads from youtube: because it takes time and lots of resources to download separate video and audio and then combine it into 1 file (process is called video muxing). But peggo.tv is nice and offers this feature. Advertising is not so bad, as far as i see, but it is there and it is in the form of both static banners and popups. Those popups come later, but they really come in hot, anywhere you click after initial video submission will result in a popup. Well, can’t expect one resource that’s perfect in every way… 1080p HD downloads means many ads and popups along the way, i guess..
1080p HD video download + mp3 conversion, wow!!! But then on top of 1080p video format, this site also provides youtubemp3converter. 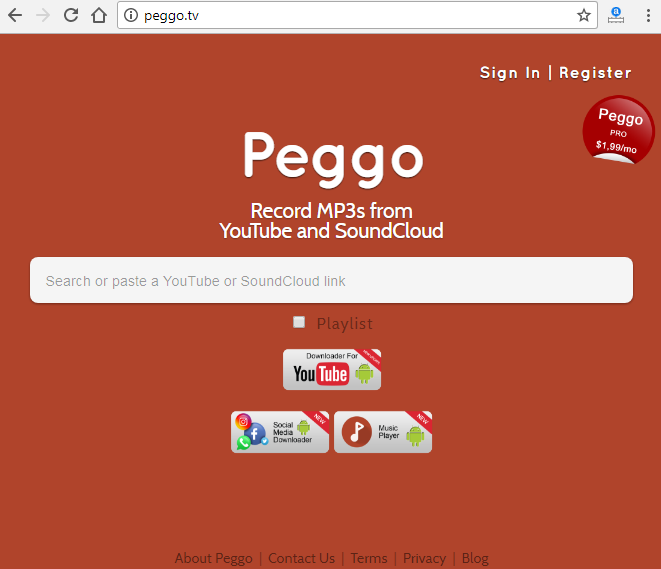 Yes, it is possible to download mp3 versions of youtube videos with peggo.tv. Well, this should be expected, really. After all this is exactly what happens on every youtube mp3 conversion – audio is being downloaded to website and then converted to mp3, download following. So since peggo.tv does 1080p downloads, mp3 conversion is only 1 step away by adding LAME. after it – it’s piece a cake, exactly same process as HD video muxing. Only takes longer time and less resources, because of smaller size. And yet aac (youtube accepted audio format) to mp3 conversion is a much slower process than video muxing, for example. And so without empty talking, let’s spice up the article with more graphics and some screenshots, and that’s about it for peggo.tv. Click here to open front page of peggo.tv. You will know you’re there by bright red colors… Looks ok, not too crowder. No ads, at least on the first encounter.. Then there are sign in and register links. Apparently, and i didn;’t know this until finishing the review.. Apparently Peggo.tv offers subscription. Yes, for USD 1.99 per month you can take off all the limits and have long videos converted and downloaded and all kinds of other features… Well, nothing really extra, just takes off the limits. Also, please, take note, – same results can be achieved by simply registration with an email address. So… Almost same results.. Almost unlimited usage and downloads. SO think twice before going for Pro subscription of peggo, nothing really useful will come from it. Today we’re playing with Imagine Dragons – Thunder. Let’s try and download 1080p HD video of this track, and then later – get the mp3 as well. You can see now there’s an opportunity to cut video – pick a chunk in the middle you want, maybe useful for smartphone ringtone creation..
Then you can also change video title, artist and other ID3 tags. 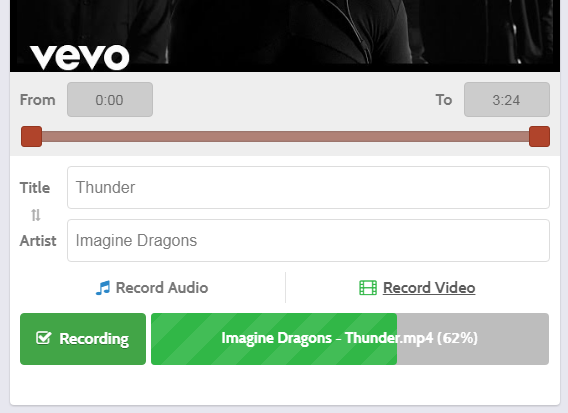 Now click the “Record Video” tab link and video download options appear. 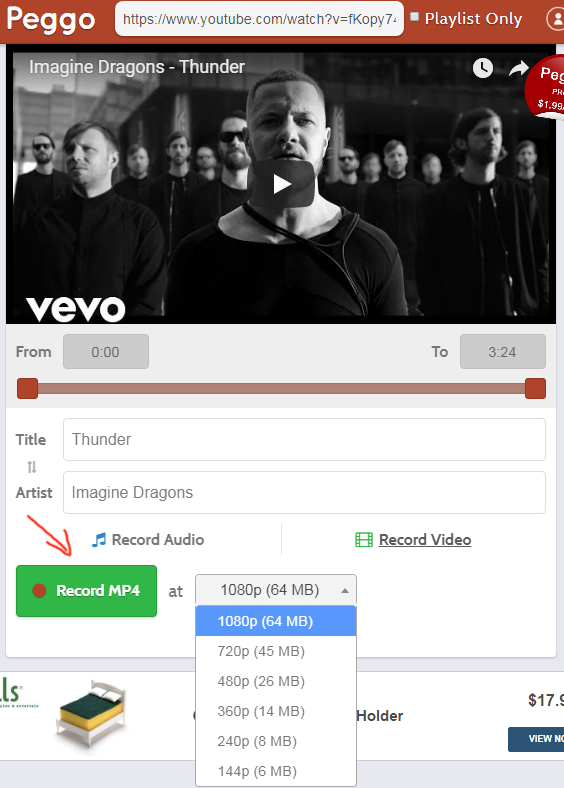 From the dropdown select 1080p option and click “RECORD MP4” button. It takes a few moments, but download starts soon. Thanks to rather small size of the file – 40MB. Yes, surprisingly, this track shows up as 64MB 1080p HD video, but download is only 40MB… well, why not? it’s still 1080p HD. 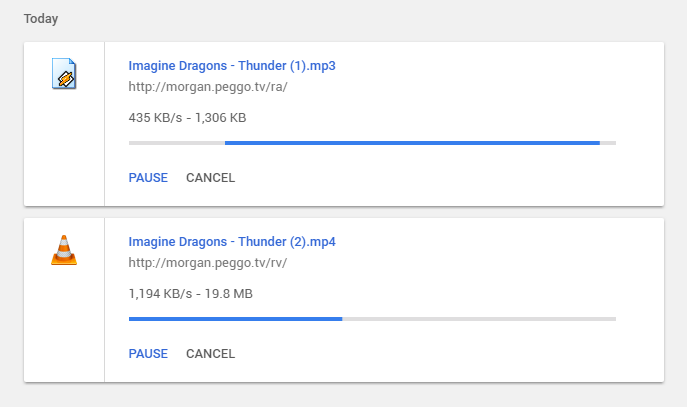 Now we’re waiting for peggo.tv to download video and audio and combine them to 1 and then our download starts too. All we do is simply click the other tab – “Record Audio” link, and there is 1 simple blue button which starts the mp3 conversion and download. Great job, peggo.tv!! below you can see my google chrome downloading the 1080p HD mp4 of the youtube video, and above it – its mp3 version. You can see download speed is quite fantastic too. 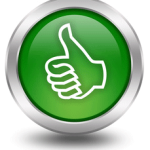 Yes, I am awarding this site 5 stars from savetube editor. Just because there is this one tiny feature that 95% of others do not have – it’s the 1080p HD youtube download option. Without it, well, this site would have made a 3 star rating at most. It’s quite smooshed, it’s confusing, but then 1080p HD comes to play, and everything becomes clear as day… =) i am even rhyming here… =) Yes, some ads are there and popups, but hey… 1080p HD!! that answers most questions, in my book. Where is the downloaded link from YTube stored? I can’t find it anywhere?